The Hotel Akti Perama is situated in the centre of Perama, and features a private beach. Only a short stroll from the shore, this hotel is perfectly situated for those in search of a beach-side escape. The Hotel Akti Perama offers a convenient 24-hour reception as well as a car rental desk, bicycle rental and a swimming pool. The hotel also provides a photocopier, parking and a safe. Each comfortable room at the Hotel Akti Perama comes with a private bathroom, a refrigerator and a TV. Guests can indulge in a beverage at the hotel's on-site bar, after savouring a meal in the restaurant. Alternatively, there are a selection of eating options around the hotel. 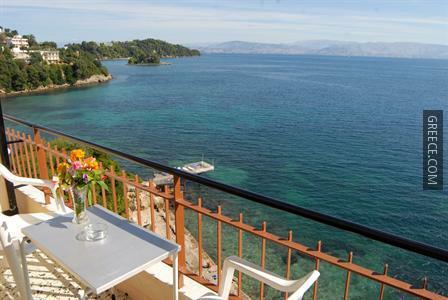 The Hotel Akti Perama is within 10 minutes' drive from Corfu International Airport. The hotel is situated 20-minutes' walk from Kanoni Beach.